I just want to take a moment and put out a thread that's a little nicer. First, though there are some problems, the game is amazing and I seriously hope it does still manage to last for years. 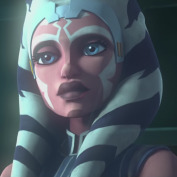 Second, I want to address the REAL issue with the game everyone is ignoring: When are we getting Ahsoka?